Product DescriptionI. New high quality automatic artificial puff rice descriptionThe New high quality automatic artificial puff rice is order to improve broken rice's value,mill the broken rice into rice powder, and then we make it into nice outlook,brightly, realistic riceThis process line is studied in concern with the loss of nutritional elements in the rice which is made by the traditional rice processing. Rice and it's by-products can be produced into highly nutritional foods by adding additional nutrient components after extrusion Cook. Further, for this process, the broken rice and rice bran can be reused. 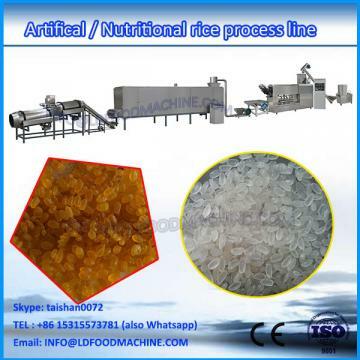 Process for make artificial rice grains,comprises a mixture of rice flour,water and oil in the extruder, forming into rice-grain shape,drying and cooling in low temperature.The Technology makes it feasible to avoid the loss of nutrition.II. 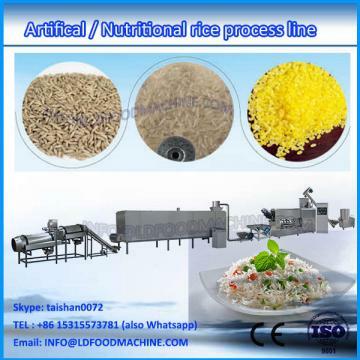 rice puff machinery feature1. 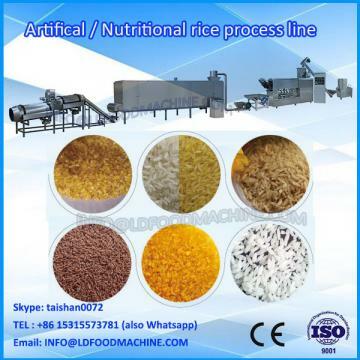 Raw material: Rice, millet, black riceand all kinds of corns and cereals . 2.Capacity of the rice puff machinery : 120kg/h to 550kg/h . 3. rice puff machinerymaterials:stainless steel and milk steel .